Steven Sheil is a screenwriter and director. His first feature, Mum & Dad, was released in 2008 and was described by Total Film as “one of the defining British horrors of its generation.” His second feature, the 2012 action-horror Dead Mine, was shot in Indonesia and starred an international cast. 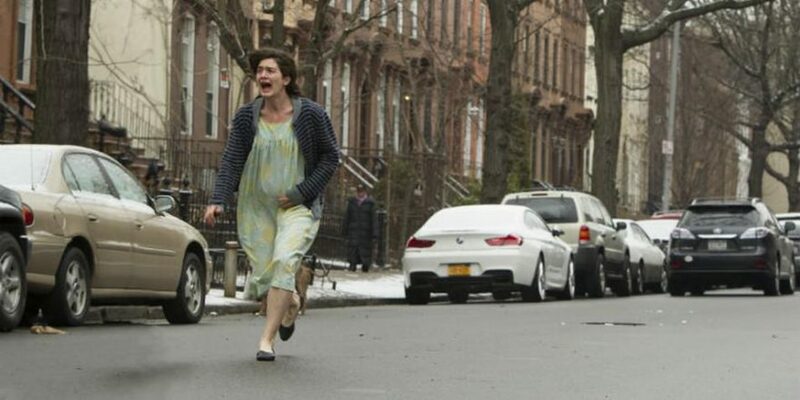 HBO Asia’s first original production, the film is distributed in the U.K. by eOne. He is also the co-writer of psychological drama Gozo, co-written and directed by Miranda Bowen for Bishop Films and due for release in 2016. 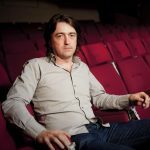 He also works as a cinematographer, primarily with his wife, the artist and documentarian Jeanie Finlay, and is the co-director of the Mayhem Film Festival, based at Broadway Cinema in Nottingham, U.K.
It’s not an uncommon reaction. I’ve been working in horror for over 15 years, making shorts and a couple of features, and in that time I’ve grown used to people telling me that they can’t – or won’t – watch horror films. Some people express a condescending bafflement (“I don’t understand how people can watch that kind of thing”), while others have a more violent reaction. At an early screening of my first feature, Mum & Dad, I was walking back toward the theater during the film when a man came out with a face like thunder. He looked at me – I’d introduced the film, so he knew who I was – and said, disgusted, “What’s going on inside your head?” before storming off, presumably to find something to bleach his brain. It’s true, horror is often provocative, transgressive and challenging, but it’s also, in my experience, a genre with a deep and intrinsic concern for examining some of the most fundamental themes of human experience. Horror films have two main concerns: why people hurt one another, and what happens when we die. To a greater or lesser degree, stories about serial killers, zombies, vampires, demonic possession, cannibals and giant mutated fish-creatures all share these concerns. 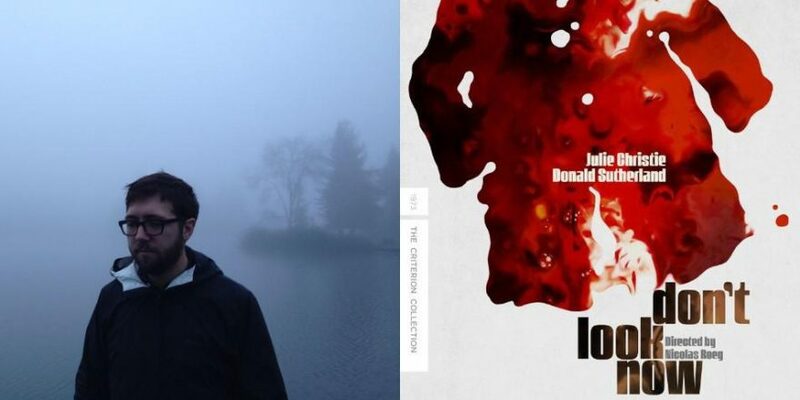 And for the fans who watch these films and for the people who make them, an interest in violence and death – often perceived from the outside as weird, unsavory or even sometimes pornographic – is what lies at the heart of their love for horror. But horror films never created a world of violence and death – I think I’m right in saying that studies have shown that human murder predates the invention of cinema – they just reflect it. The world is a violent and scary place and death is everywhere. We’re reminded every day of the brutality that people can commit, as individuals, as cells, as armies, as governments. Horror asks questions about that brutality – where it comes from, where it leads. It shows us images that describe that brutality – often graphic, often repulsive – but it allows us to confront it in a space where we can imaginatively and emotionally deal with it. It’s up there, on the screen, at one remove from reality. The violence that we feel all around us in the world is passed through a filter and reflected back to us in a way that helps us to process it. For my own part, death has been something that I’ve had to think about and learn to process for many years. My sister died a couple of months before I began the film production course which set me on the path to making my own films and it wasn’t long before I found myself gravitating toward stories which explored ideas about grief, death and violence. My second feature, Dead Mine, was bookended by the deaths of my other sister (I learned that the film had been greenlighted while organizing her funeral) and my dad, who died the day after the film’s U.K. premiere. Horror, for me, has been a way to explore the deep and fundamental scars left by the violence of death. And all death – whether sudden or expected – is violent, at least from the point of view of those left behind. It’s an instant, irrevocable amputation. Why should cinema flinch from examining that? Death is transformative; for those left behind, the experience of grief and loss opens up another world. It’s a world where the violence of death is not just an ever-present possibility, it’s an inevitability. And there’s no telling where or when it might strike – it’s unmindful, implacable, remorseless. It’s every unkillable Michael Myers or Jason Voorhees – and there’s always a sequel. The landscape of grief is one that is haunted by this specter; it’s always there lurking, ready to strike. I know that there was a profound difference in the way I looked at the world before my first sister’s death and the way I looked at it afterward. Death suddenly and violent intruded into my life and unbalanced every part of the world I lived in; the only way I could describe to friends how it had affected my family was to say that it felt like one leg of a table had been kicked away. It was an external force that was impossible to ignore, impossible to blot out. A new world, which it felt like I now saw with clearer eyes, had opened up. And this was a world I could see in the horror films I was watching and making. 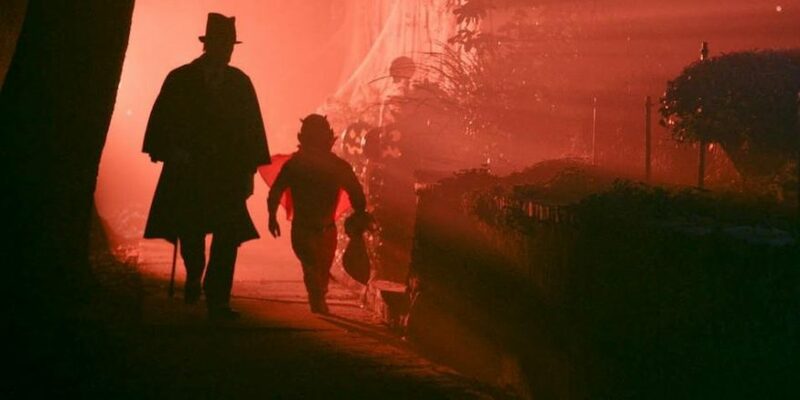 Horror films work much like fairy tales of the past, which is maybe why so many of them begin with young people straying off the path into the woods. They are a way of emotionally and psychologically engaging with our innermost fears, the most primary being the fear of death. Watching horror films is not just catharsis, it’s a way of us approaching fundamental questions about our own humanity. We watch horror and are aware of the ever-imminent possibility of death and violence, of the frailty of the human body – how it can be mutated, dismembered, reconfigured, diseased – and of the biggest question facing us as humans: what happens when we die? I am the co-director of the Mayhem Film Festival in Nottingham, and a few years ago I had the opportunity to interview Nic Roeg at a special screening of Don’t Look Now held in a Gothic church in the city. 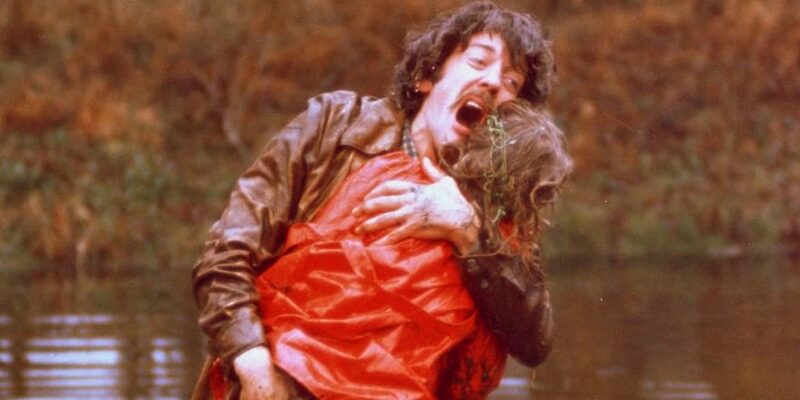 The most indelible image from the film, and one of the most truly horrific in cinema, comes early on, as Donald Sutherland rears up from the pond where his young daughter has just drowned. His face is a pure, agonized mask of grief and pain as he clutches onto her lifeless body. It’s a moment that is all about crossing the threshold, being thrust suddenly and violently into a new world: the endless landscape of grief. When I asked Nic about the film and his work, he spoke about his concern with metaphysics and with the spiritual, and wondered why there weren’t more films that examined those themes, which for him should be a central concern for cinema and art. To my mind, horror films are intrinsically about these larger questions. I can’t make claims that there’s any kind of unanimity of experience amongst horror fans and horror filmmakers, that everyone has suffered grief and loss and is attempting to find a way through. But I do feel that what we do have in common is a willingness to seek out and confront fundamental troubling ideas about what it means to be human. A common image in horror is a closed door, with something lurking behind that symbolizes or embodies death. It’s an image that resonates because it’s the entering of another space, and is often accompanied by a feeling of transgression, of going against the norm. We yell at the screen, “Don’t open the door!” “Don’t go down into the cellar!” “Don’t go into the woods!” But we need the characters to go there, we need to see what’s in that other space. It’s the not knowing that’s terrifying. Some people hate this feeling, this dread, this anxiety, and they stand at the threshold of horror and turn away, leaving the fear in place. But for a horror audience, facing those fears, looking beyond, is a way of being clear-eyed about what might be on the other side – however horrific and disturbing – because to know is to try and comprehend. When someone tells me now that they can’t understand people who like horror, I tell them that I feel the opposite – I can’t understand anyone who doesn’t. Horror, especially today, is a broad and ever-growing genre, pushing boundaries and exploring fundamental and ancient themes in ever more imaginative ways. Horror puts the scary parts of life up on the screen, and invites us to try and make sense of them. It’s an opportunity to think, to feel, to learn and to discover. It’s a door with something unknown behind it, and a question – do you dare to take a look?